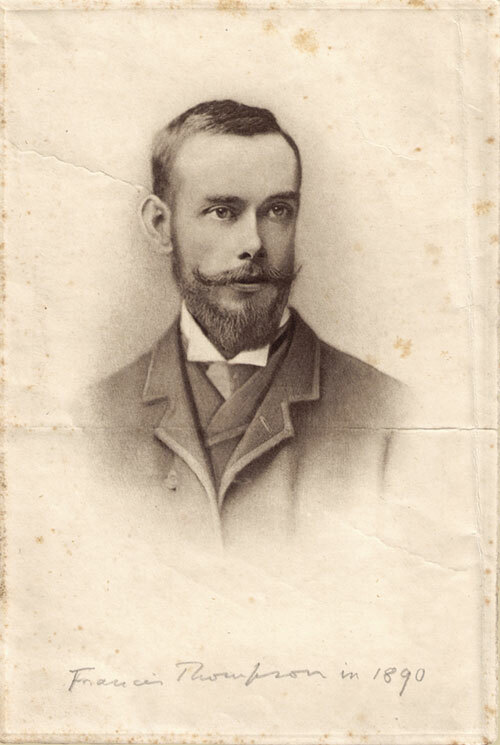 Francis Thompson was born in Northwest England in 1859. The son of Catholic converts, as a boy he was initially educated for the priesthood. When he was 18, at his parents' insistence, he entered Owens College in Manchester to follow in his father's footsteps and study medicine. But before long, he left for London hoping to pursue what he believed was his true vocation of being a writer. As a result of ill health and subsequent medical treatment, like many before him, Thompson became addicted to opium. He soon fell into a life of despair and destitution, sleeping on the banks of the Thames with London's homeless and selling matches just to stay alive.